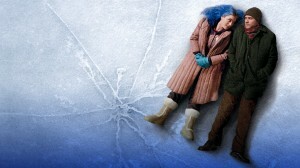 Their first in what has since developed into a recurring partnership, French director Michel Gondry and American cinematographer Ellen Kuras’ work on the visually arresting Eternal Sunshine of the Spotless Mind is testament to their creative talent. Eager to convey the sense of collapse and erasure central to the film’s theme, and with as little traditional film lighting as possible, Gondry required Kuras to capture actors – mostly on location around New York – in almost constant unrehearsed movement. Borrowing ideas from the French New Wave, Kuras shot many of the scenes with a handheld camera and in some cases from a moving wheelchair, providing the, quite literally, ‘hands on’ effect that makes the film both so distinctive and immersive. Please note that due to circumstances beyond our control, this screening will be shown from Blu-Ray instead of the published 35mm. We apologise for this inconvenience.